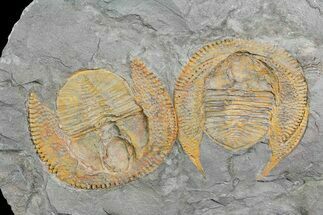 The last trilobites went extinct at the end of the Permian period over 20 million years before the first dinosaur appeared on earth. 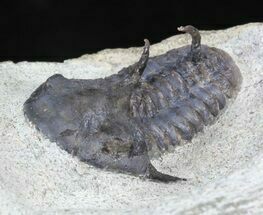 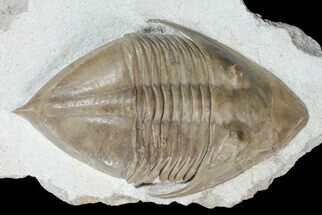 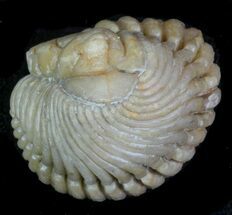 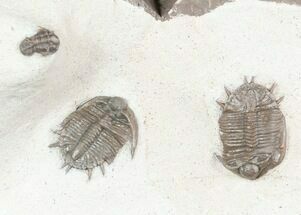 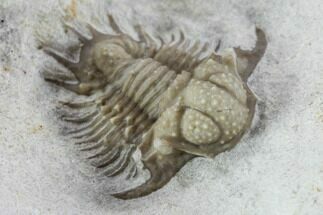 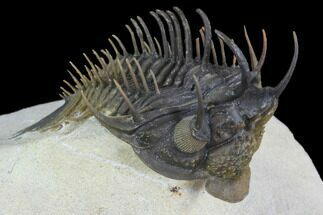 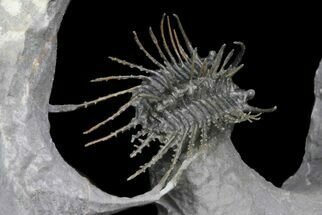 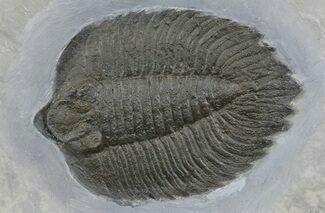 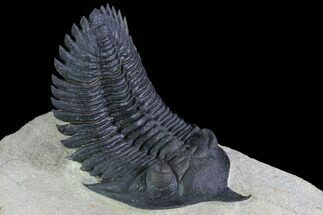 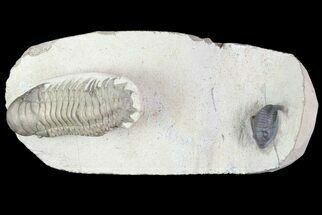 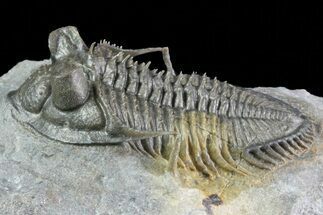 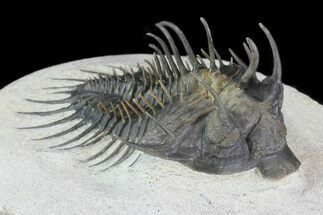 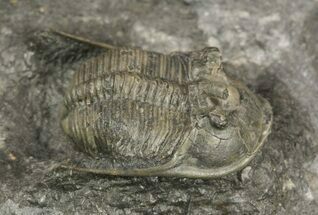 While most trilobites were fairly small, averaging around an inch in length a few types could grow to over a foot in length. 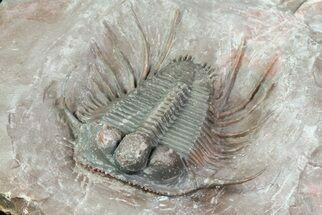 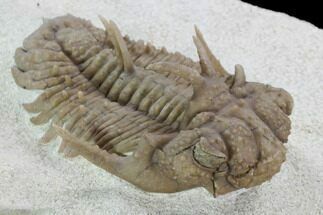 The largest trilobite ever found is 70 cm long and collected on the shores of the Hudson Bay in Canada. 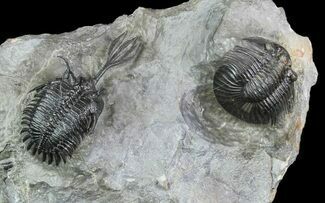 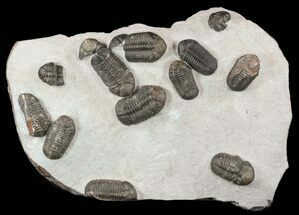 Many species of trilobites particularly in the Devonian developed complex arrays of spines. 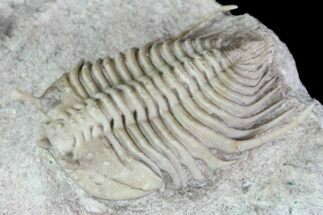 These spines could have served as protection against predators such as fish. 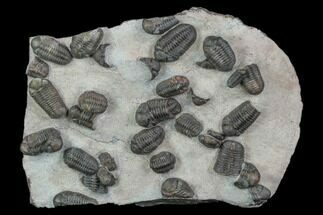 Many types of trilobites could enroll into a ball much like "pill bugs" for protection. 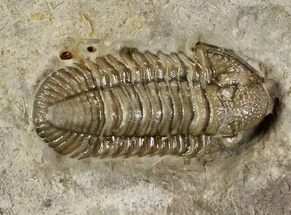 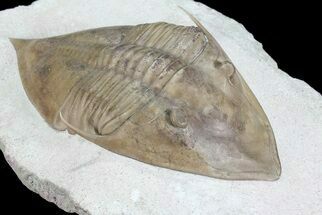 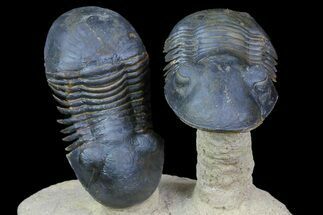 Trilobites were one of the first animals we know of to have the eyes. 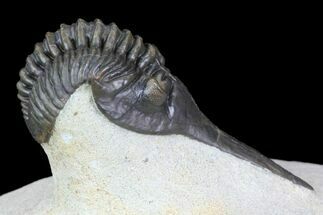 They were unique in that they had multi-faceted eyes made out of calcite lenses. 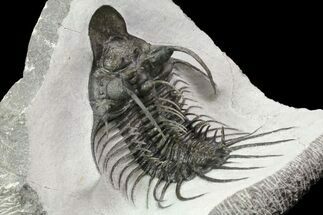 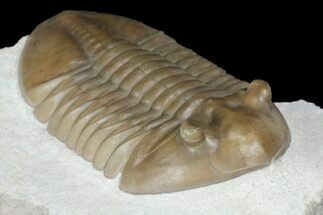 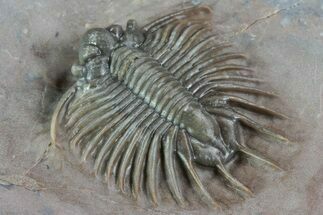 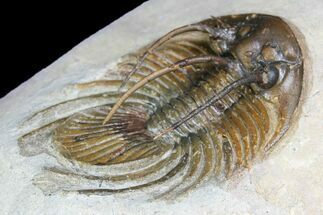 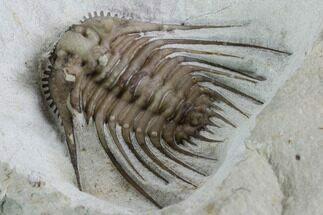 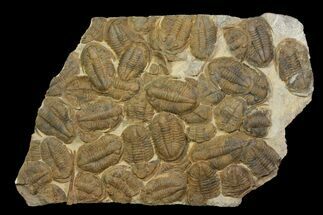 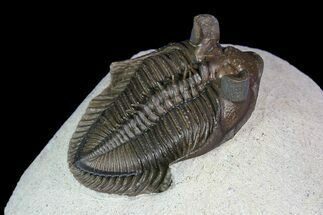 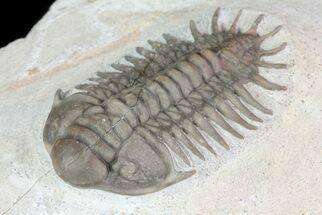 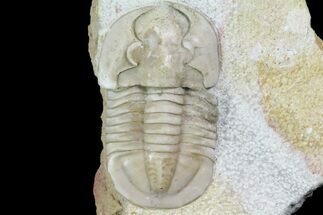 Nearly all trilobite fossils are fossils of their external exoskeleton or shell. 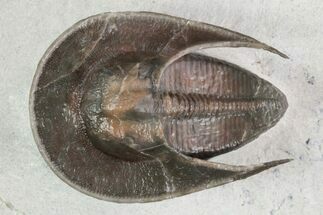 There are only a few localities in the world that preserve soft body parts such as legs, antennae and gills. 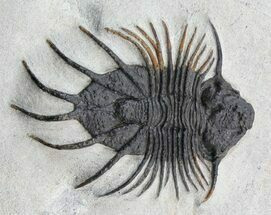 A few of these are the Lorraine Shale of NY, the Burgess Shale and Maotianshan Shales in China. 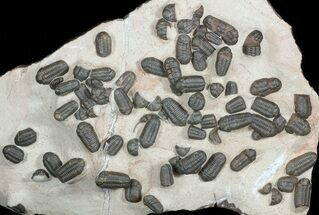 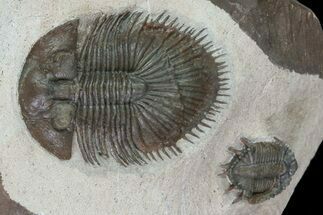 There are tens of thousands of species of trilobites. 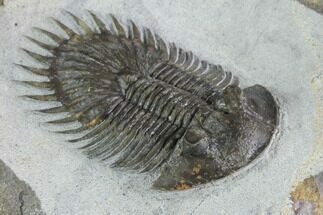 Some are quite common while others are extremely rare. 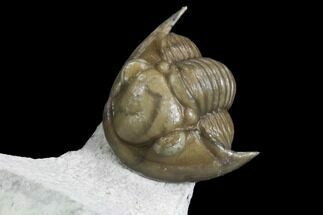 Only a fraction of the known species have ever been found complete. 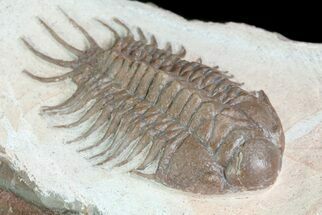 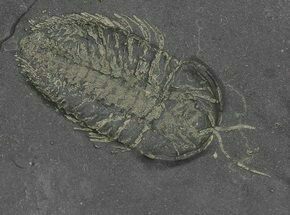 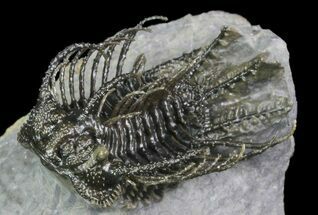 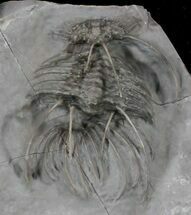 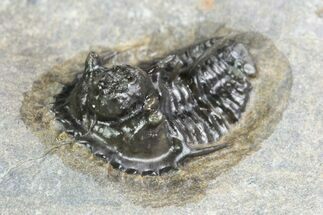 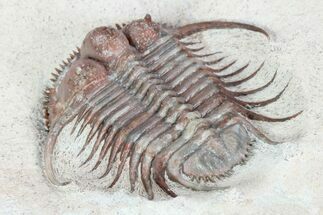 Trilobite fossils are commonly found by splitting shales and limestones. 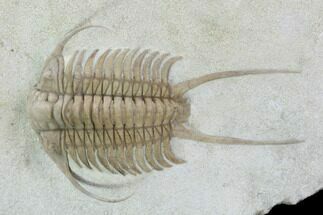 Trilobites don't come out of the ground looking like the trilobites for sale on FossilEra. 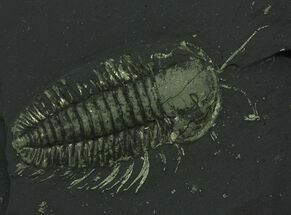 They often require many hours of preparation work under microscope to remove the surrounding matrix/rock. 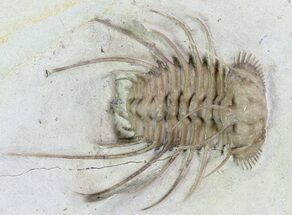 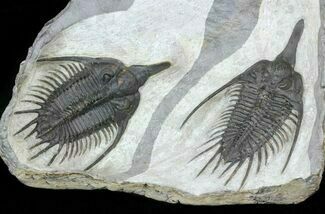 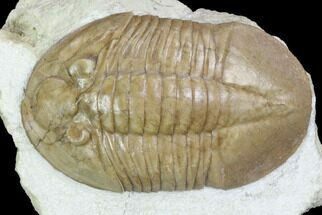 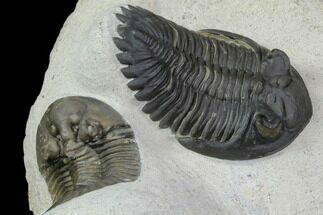 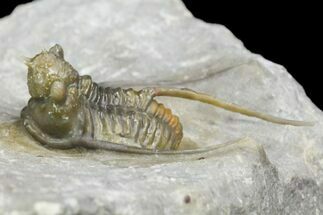 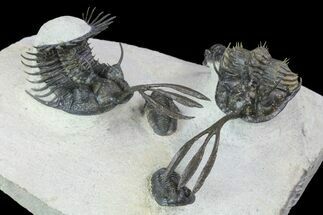 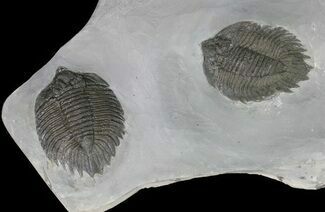 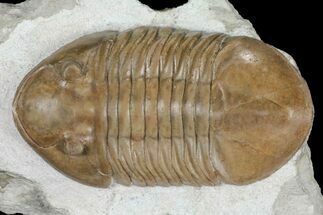 Trilobite means three lobe but they are not named for their head (cephalon), thorax and pygidium, but rather for the three axial lobes that divide their body length-wise. 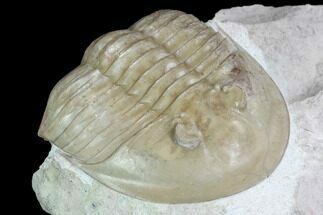 Even ancient humans collected trilobites. 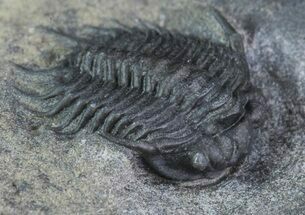 Trilobite fossils have been found in human burial mounds dating back 50k years. 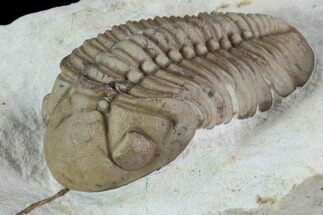 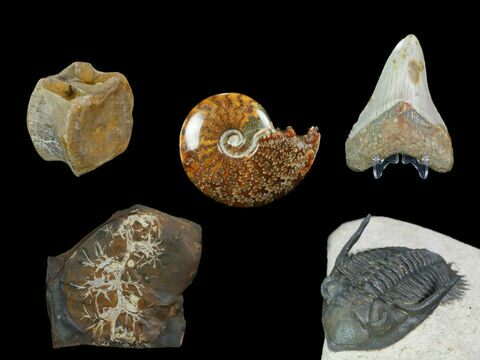 Buy trilobite fossils from FossilEra with confidence knowing that you are getting authentic, well prepared specimens, and reasonable prices.